Chefchaouen (sometimes known as Chaouen) is a city found below the hills of Rif Mountains, about twenty miles away from the Mediterranean coast. Often referred to as Morocco’s Blue city, people from around the world visit to walk through feel the experience and the sight of the beautifully painted buildings, paths, and alleys. The town glows throughout the day in several shades through vivid Majorelle blue from subtle aquamarine as the light changes with the sun travelling through the sky. The experience is so beautiful and unique to these parts of the globe. 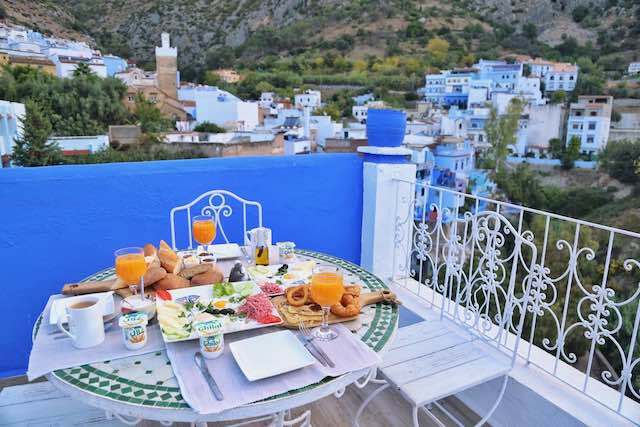 Chefchaouen is a place in Morocco which offers an authentic Moroccan experience with markets of traditional standards, restaurants, and hammams to enjoy. It’s also perfectly placed for outdoor countryside venturing. 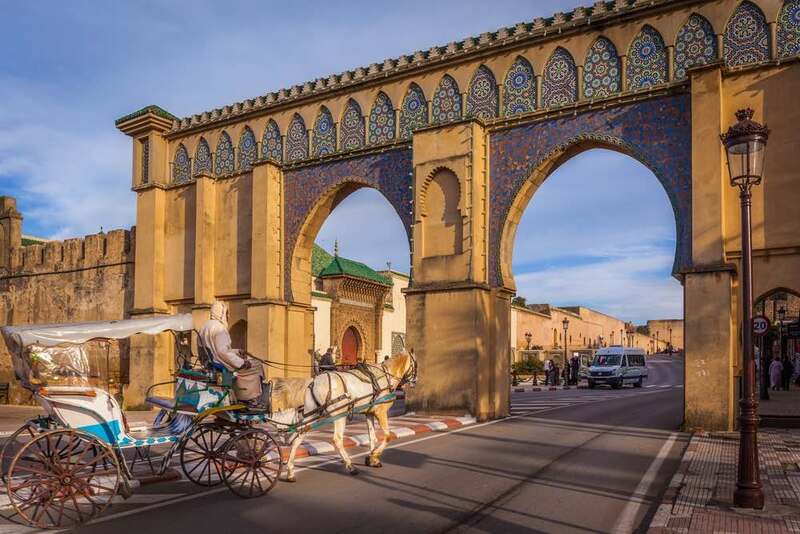 The small city has gained so much fame as one of the most relaxed and friendly places to visit, thanks to its cool blue walls in combination with its amazing natural environment and the popular Moroccan character of hospitality. 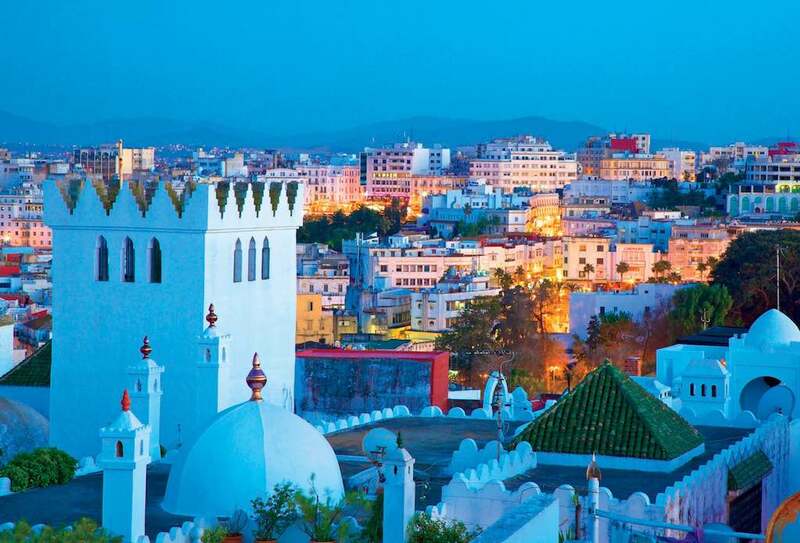 This city should definitely not be missed when next you get the chance of visiting Morocco. 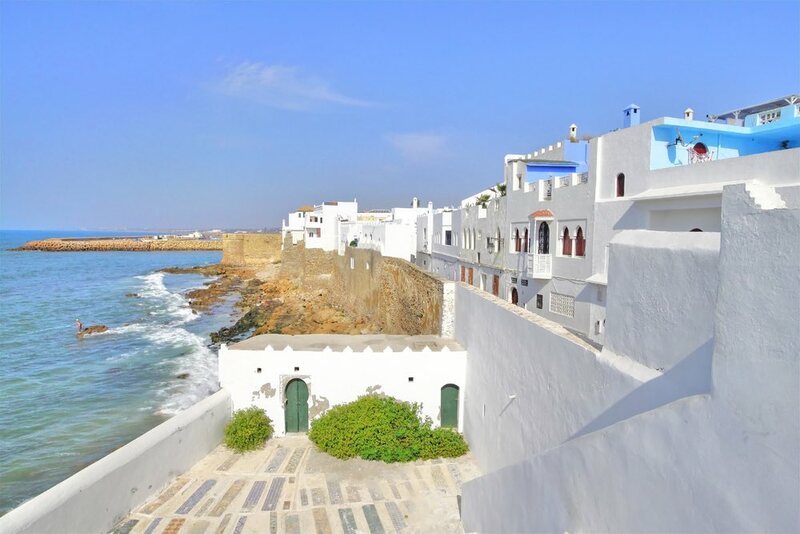 Tangier is used by many people to get to Chefhaouen, either by using the regular bus service, private transfer or paying a Grand Taxi. Walking uphill from the medina to the main bus station normally takes about 15 minutes. (It is best to hire a petit taxi from the station, especially if you have any issues with mobility). 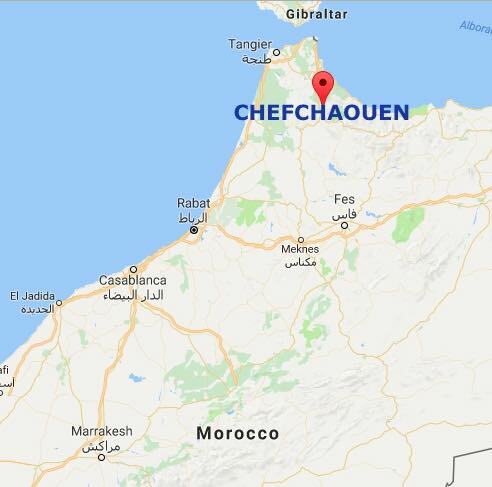 Travellers have known Chefhaouen as a fairly popular place to visit and so it has quite a number of hotels, hostels, and riads to meet the demand. Also, there are many roofed terraces which can host enjoyable evenings offering the opportunity to watch the sun as it sets over the mountains. Chefhaouen’s cuisine is a treat for your taste buds, eyes and your nose as well. 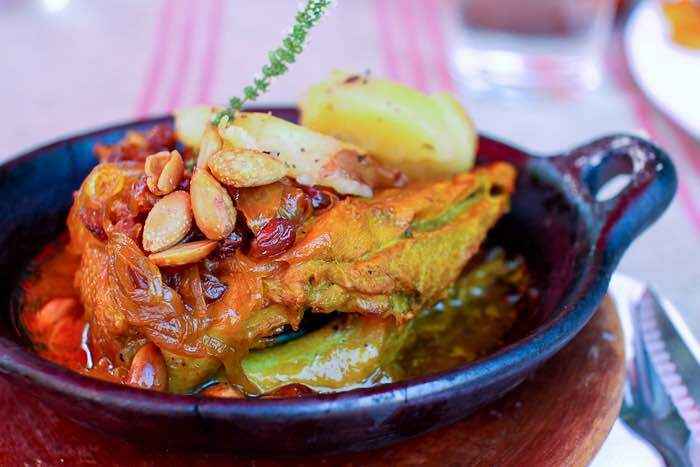 With dozens of chefs and bakers start their work every day, aromatic herbs and bread baking scents fill the streets while their ovens of wood fire produce tagines, bread, and other incredibly delicious dishes. So soon after the appealing scents emerge, samples of their wares will be available for sampling, either from the numerous restaurants found up and down the twisting alleyways or from street food vendors. Foods in this area as is the way in Morocco, are mostly flavoured with some special spice selections, often turmeric, cumin, paprika and more, to add a distinctive North African quality. The people in this area are used to having their food fresh. There is often an added Rif vibe at the same time with some Moroccan local variation themes keeping it distinct. With the use of locally made ingredients to assure the quality and taste of the meal. One particular delicacy peculiar to the Chefchaouen area is goat’s cheese. The Jews and Moors fleeing from the Reconquista of Spain founded Chefchaouen in 1471, and it was once again in the 20th century going to provide a Jewish refuge, serving as a sanctuary against their Nazi persecutors. The Jewish settlers who formed most of this second influx are remarked for instigating the most salient features of Chefchaouen (the colour related to holiness in Judaism is blue which is a reminder of the glory of God). 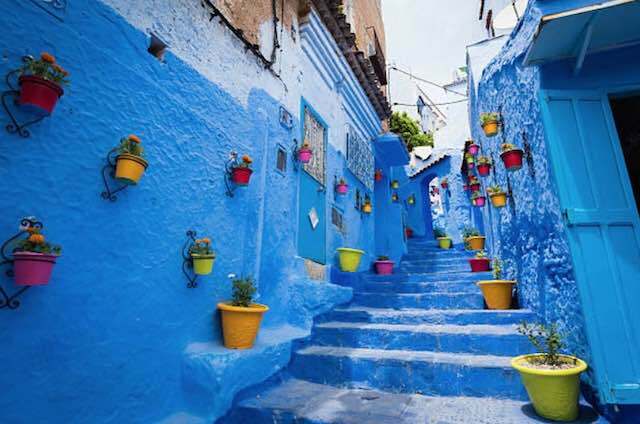 And even with the movement of most of the Jews in 1948 back to Isreal, the city’s famous blue hue is maintained by the people every year with their repaint of Chefchaouen. 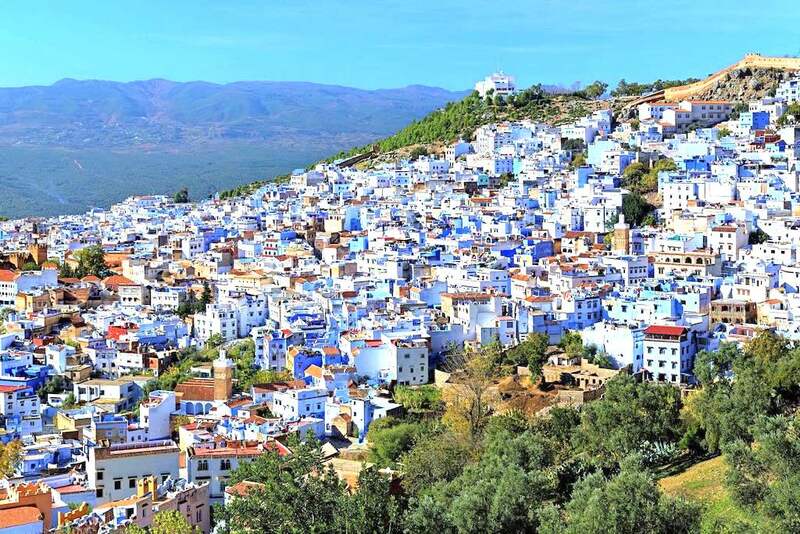 Chefchaouen paints a perfect picture of what an Andalucian settlement in the Moorish times would have looked. Right at the town’s centre, stands the popular fortress which is 500 years old with the rest of the city built around it. There is an ethnographic museum which presents pictures of this historic city, and you could go round the old prison before climbing a tower there to experience one of the most spectacular views of the city today. The Medina of Chefchaouen is a collection of treasure made of goods waiting to be discovered. 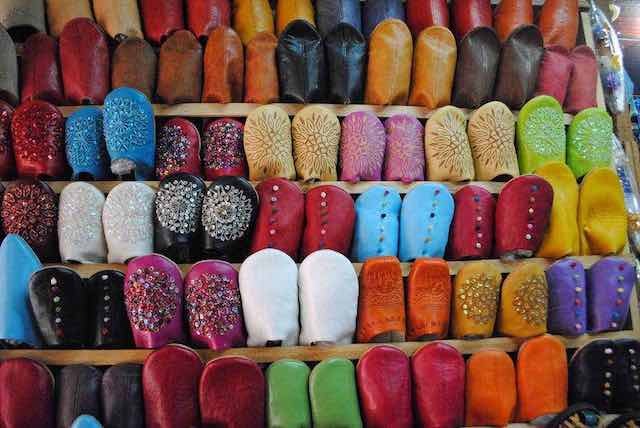 Unimaginable varieties of goods are usually displayed here, from Moroccan slippers to brass kitchenware, clay pots, expertly crafted leather goods, brightly patterned carpet. It’s like taking a step back in time. Haggling in Chefchaouen is so common just like in all other places in Morocco. Bargaining will always be expected from you during your purchases, and you could experience real fun with engaging in the offer and counter-offer coming out as the winner of most bargains you make. One thing you shouldn’t forget is the shukran (thank you) when leaving. 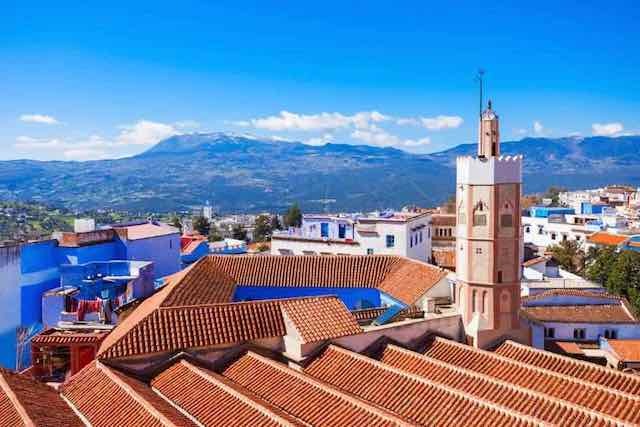 You will not have the ability to resist the lure of the Rif Mountains that surround Chefchaouen, especially if you enjoy taking walks of any sort. You can enjoy real amazing views by taking a day hike or a longer trek. Snow dust covers elevated slopes, and you can see the sparkling waters of the Mediterranean on clear days. 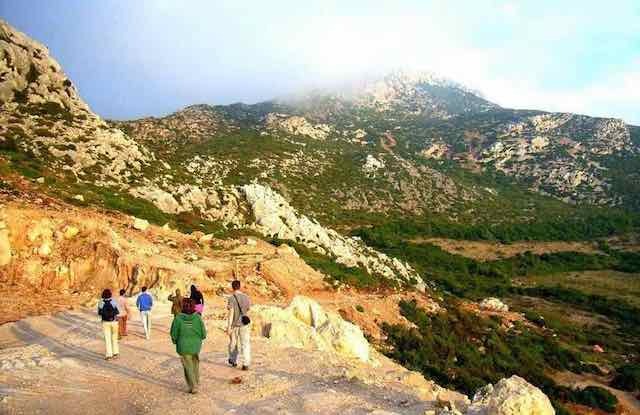 A compulsory place to visit is the Talassemtane national park which is just nearby. Some beautiful features awaiting you in this similarly beautiful part of the kingdom covering more than 580 square kilometres include burbling rivers, rushing waterfalls and lush green valleys. One known highlight here is the God’s Bridge; it’s a natural red stone arch which goes all the way across the river about fifty feet below. Many professional companies exist in Chefchaouen (as is common with Moroccan cities) that happily offer tours structured according to your specific abilities and wishes to make sure you experience the best. Mostly controlled by local experts, you can be taken very safely to all the most memorable sights exploring extends you never will forget!